Click here to see more cruises from this boat. Cabins: there are 8 cabins; 4 cabins on the Upper deck and 4 cabins on the Main deck. Each cabin has its private bathroom, warm water, air conditioning, hair dryer, telephone and safe. 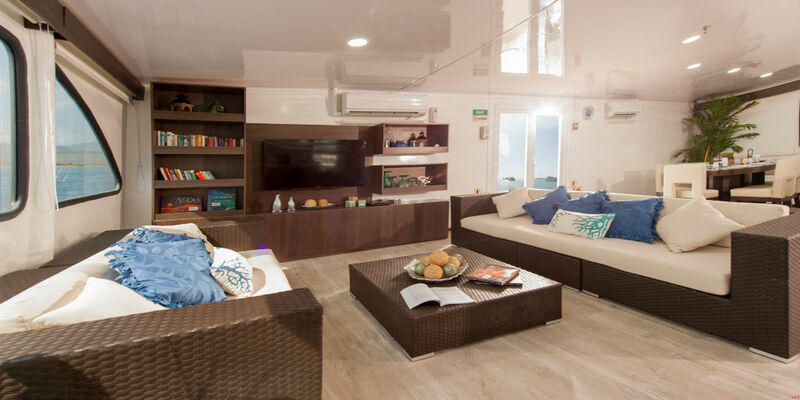 Other: During the cruise you can use a dining room, a lounge room, TV and DVD, a bar and a sun deck. There are kayaks on board. 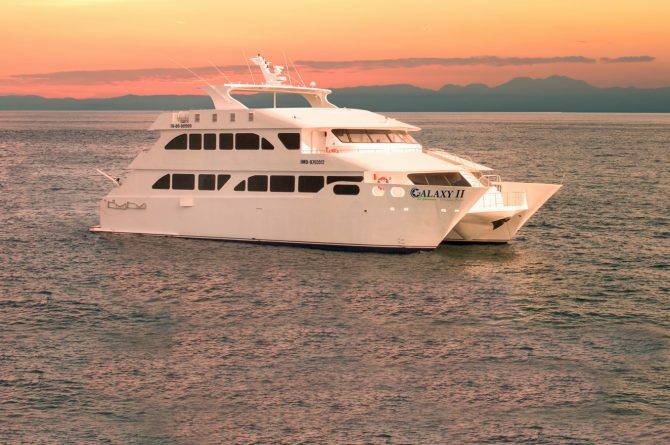 Select a date and find out which lastminute Galapagos cruises are availible. * Prices and availability subject to change without notice. Although we try to assure accuracy, Galapagos Lastminutes cannot be responsible for any typographical or photo error on our web site.. Galapagoslastminutes.com is part of the travel agency Elwotravel.